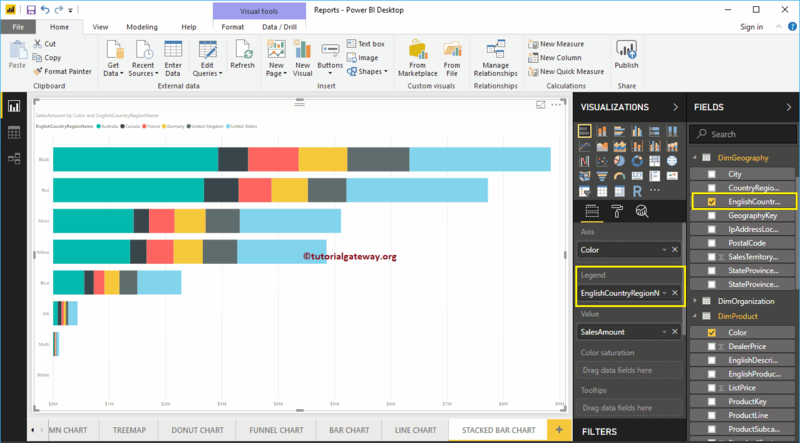 Power BI Stacked Bar Chart Bar Chart is useful to compare multiple dimensions against a single measure. 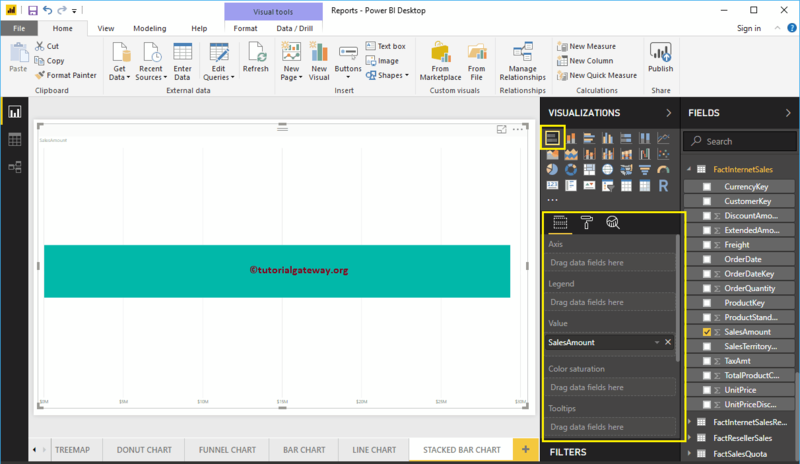 In this article we will show you, How to Create a Stacked Bar Chart in Power BI with example. 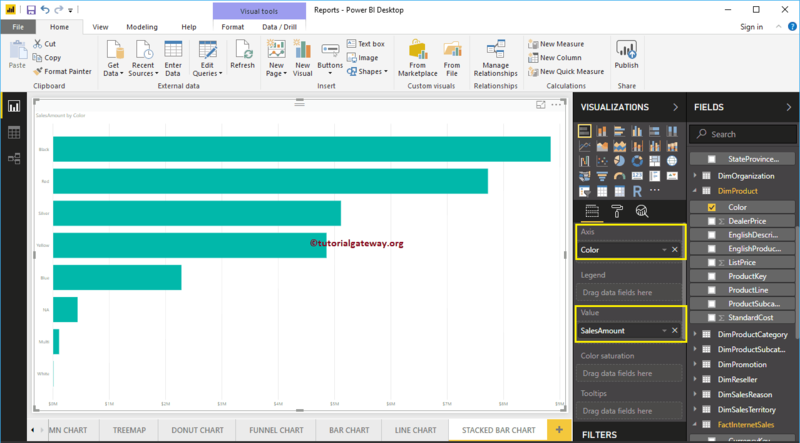 For this Power BI Stacked Bar Chart demonstration, we are going to use the SQL Data Source that we created in our previous article. 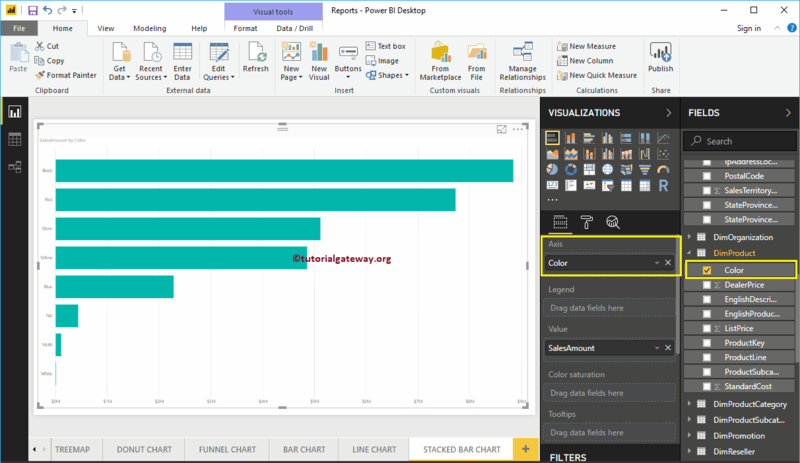 So, Please refer Connect Power BI to SQL Server article to understand the Data Source. 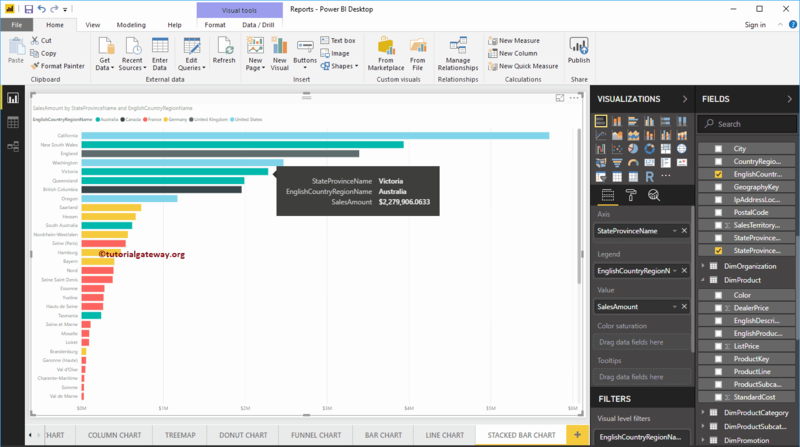 In order to create a Stacked Bar Chart in Power BI, first Drag and Drop the Sales Amount from Fields section to Canvas region. 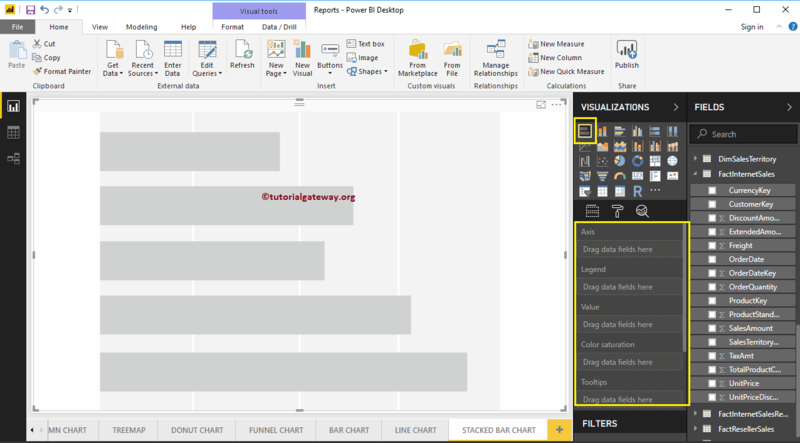 This will automatically create a Column Chart as we shown in below. 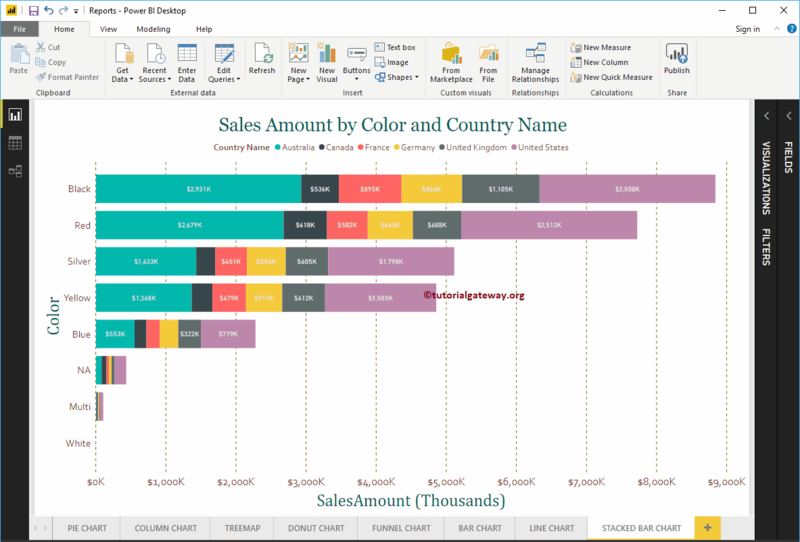 Next, let me add Color to Axis section to create a Bar chart that shows Sales Amount by Color. 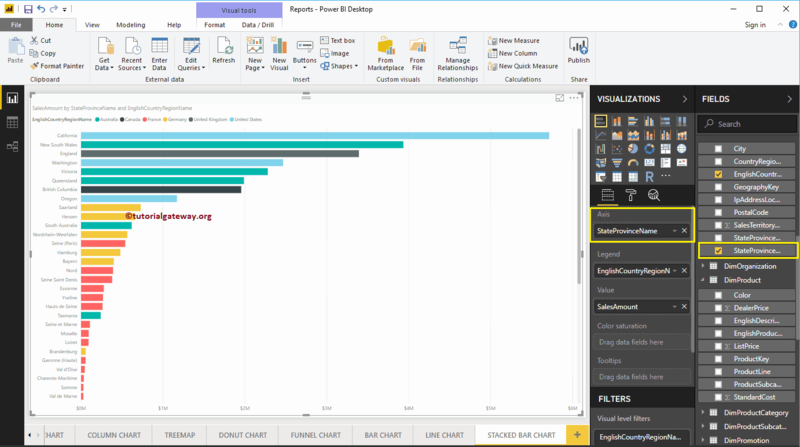 Next, we are adding English Country Region Name to Legend section to convert it into the Stacked Bar Chart. This time, we added State Province Name to Axis, and Country to Legend. From the below screenshot you can see, Country Name is acting as the Bar Color. This is because, You can’t group the Country Names inside a State ( State Name is Inherited from Country). Please remember this while you are working with stacked bar chart. 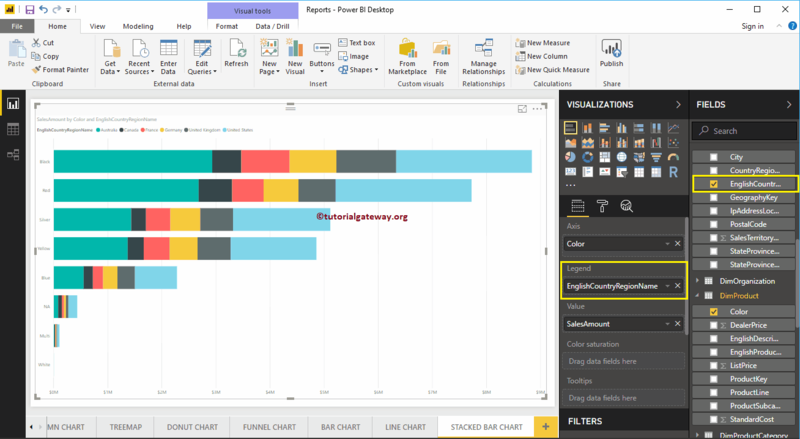 First, click on the Stacked Bar Chart under the Visualization section. 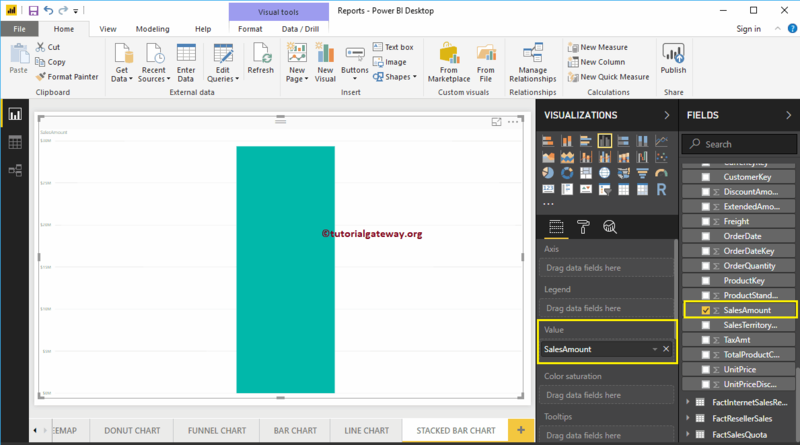 This will automatically create a Stacked Bar Chart with dummy data as shown in the below screenshot. 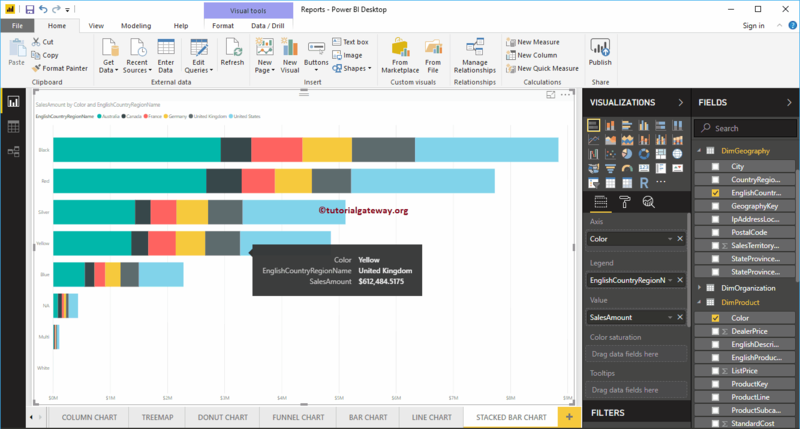 NOTE: I suggest you to refer Format Stacked Bar Chart article to understand the steps involved in formatting the Stacked Bar Colors, Chart Title, Data Color, background Color, Axis Colors, Axis fonts etc.